Does the Church Interpret the Bible Based on Traditions? Question: What if I believe only in the written text of the Torah? Answer: I’m glad to hear that you have such strong faith in the “Hebrew Bible.” My question is, how do you know that this is true? Certainly, you must be relying on tradition. Otherwise, how do you know that the words you have before you are the original words written by Moses and the prophets? How do you know that they ever received this to begin with? What other way is there than to rely on the integrity of the Jewish people over the ages? Rabbi Freeman has written a multi-part series on the nature of Midrash which I plan to explore. The above-quoted text isn’t part of that series but I think it’s a good place to start my own investigation for a couple of reasons. The first, as I previously mentioned, is I have my doubts of the effectiveness of the philosophy of sola scriptura as practiced by certain expressions of “the Church”. I really don’t believe that most Christians really, really access “scripture alone.” To be fair, I believe they think they do and that they are sincere in their convictions, I just think they are either blind to the presence of interpretive tradition, or if aware of it, they do not believe it has as much influence on their “vision” as it actually does. One of the things I admire about Judaism is that it admits to relying on tradition to interpret the Bible and in fact states that it is impossible to understand what the Bible is saying without a system of interpretation and tradition to use as a lens. That’s going to freak out a lot of Biblical literalists in the Church and this isn’t the first time I’ve made such a statement (see Removing the Garments of Torah and The Purpose of Torah in New Testament Judaism series for examples). I do want to state upfront that just because a tradition exists, either in the Christian or Jewish frameworks, doesn’t mean we should automatically accept it as fact and truth. On the other hand, without tradition (and I agree with the Jewish perspective on this), at least to some degree, we’d never be able to understand let alone implement various portions of the Bible. I should also mention at this point that many (most?) Hebrew Roots groups echo the question stated above, believing in the accuracy and authority of the written Torah but disdaining any of the Rabbinic commentaries which are used to interpret and operationalize Torah (and how do they tie their tzitzit and lay their tefillin without relying on Rabbinic tradition?). Such groups seem to take what they want from normative Judaism while escorting the Rabbinic sages and their rulings and interpretations to the nearest dust bin. And that, really, is Judaism: a faith in the integrity of the Jewish experience as transmitted to us by previous generations. It turns out that everything we believe, including faith in the word of the written Torah, is based on this faith in the Jewish people. Perhaps that is the reason we call it Judaism (or Yahadut, or Yiddishkeit) and not “Torahism” (or Karaism)—because the most basic faith we have is in the Jewish people, and from there extends our faith in the written word and in the prophets. As I read Rabbi Freeman, I get the impression that one of the functions of Judaism is to provide the traditions by which Jews interpret the Torah. This gets complicated in that there is no one “Judaism” and thus no one authoritative interpretation of Torah, although within the larger “Judaism” construct, meanings heavily overlap. 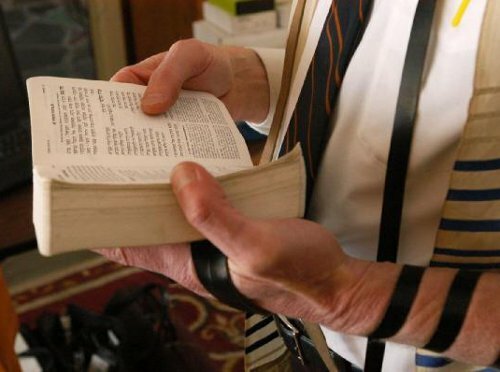 But how the Chabad traditionally interprets a portion of the Torah and how to perform the associated mitzvot may differ greatly from how a Reform or Conservative synagogue may read and understand the same material. Thus, from an outsider’s point of view, it makes Judaism seem very inconsistent, highly variable, and the meaning taken from the Bible to be incredibly fractured. But what about the untold hundreds or even thousands of denominations, subgroups, and sects of Christianity? The answer my Pastor would give me is that there is only one right answer, which is why the Fundamentalist movement was established in the early days of the 20th century…to create (or return to) that one “right” answer. My Pastor has tried to explain the core meaning of Fundamentalism to me, apart from all of the media hype and unfair interpretation of the “label,” and I’ve recorded that understanding on my blog so I wouldn’t lose track. Really, Fundamentalism at its center is just “getting back to the basics” of Christianity, but those “basics” were established barely a hundred years ago. Would the apostles have understood their faith in the same way as John MacArthur, R.C. Sproul, or Steven J. Cole? So the best we can say at this point is that Judaism and Christianity both heavily utilize tradition to tell each religious body and their various subgroups (actually, each of the subgroups have their own traditions) what the Bible is supposed to be saying and how we are to live out what the Bible tells us in our individual and corporate worship lives. I’ve also recently mentioned the story of Hillel, Shammai, and the Three Converts, which Rabbi Freeman too mentions in his commentary. But is that really true? Does not understanding the original language in and of itself impart some meaning? Of course, you also have to understand the historic, cultural, national, linguistic, traditional, theological (and many other) contexts involved that subtly or significantly modify the meaning of the plain text. Could the overall understanding of those contexts be codified to become an interpretative tradition? Because the prevailing interpretations have probed Paul’s text without sufficient appreciation of the powerful role of ironic inversion at work, at the formal as well as functional level, the interpretation of the apostle’s scathing rhetoric has exaggerated and, regardless of other plans, continues to accentuate the differences that are imagined to separate Christian and Jewish identity, behavior, and even intentions toward God and neighbor. The legacy of this perception of the Jewish other has proven often tragic for the Jewish people, at least in a world that has been often dominated by those who look to Paul to shape reality, and for others, as a foil to justify their twisted construal of what is right. It is Nanos’ belief that Christianity’s understanding of the basic nature and personality of the apostle Paul has changed not very much since the days of the so-called “Church fathers” and hardly at all in the last five-hundred years since the Reformation. While the Church doesn’t cite time-honored Christian tradition as the necessary element to understand the letters of Paul or as required to comprehend his actions as recorded in Luke’s Book of Acts, nevertheless, my recent reviews of some of the sermons of John MacArthur have convinced me completely that Christianity’s understanding of the meaning of scripture is totally reliant on revered Christian traditions. When, on occasion, I’ve tried to challenge those traditions (and not the scriptures themselves), the reaction I observed could at least be called resistance. Judaism has its traditions as well, but Jewish authorities are quite upfront about saying that they have a tradition and that, as far as Rabbi Freeman goes, “Judaism-colored glasses” (my phrase, not his) are required when reading the Word of God. The Torah says to rest on the seventh day. I once met a man who told me that he tried to keep the Sabbath as written in the Torah, but it was too hard—by four in the afternoon he just had to get up out of bed! Who says his interpretation is worth anything less than anyone else’s? The Torah says that “these words should be totafot between your eyes.” What on earth are totafot? Where is “between your eyes”? When do you wear them, and how? The Torah says, “You shall slaughter an animal as I have commanded you.” What was it that G‑d commanded Moses? How can we know? There seems to be no hint whatsoever in the entire Five Books of Moses. Obviously, everybody knew what Moses had been told; they did it all the time, and nobody needed it in writing. Good points, Rabbi Freeman. Of course modern Christians would say all that stuff is dead and gone, so who cares if we don’t know how to properly rest on Shabbat, figure out what “totafot” means or how to put them “between your eyes,” and what the correct method of “slaughtering an animal” was as required by God? It seems like neither Christianity or Judaism can exist and practice their faiths without a rich tradition of…tradition. Protestants, as I experience them anyway, seem to have a deep-rooted resentment against a central authority in religion. I’ve heard Evangelicals say some pretty rough things about Catholics and their Pope, and I’ve listened to more than one Christian say (more or less) that it was part of God’s plan for the Apostles to die off so “Christian authority” could be de-centralized. Never mind that Christians tend to revere the “Church fathers” and particularly the authors of the Reformation. Some churches, including the one I attend, even celebrate Reformation Day. The oral tradition also includes later decisions and exegeses made by those who led the Jewish people and were empowered to make decisions on their behalf. These are the seventy elders in every generation, as established originally by Moses himself (read all about it in Numbers 11). It is to these sages that Moses refers when he charges the Jewish people that if anything is to difficult for them to solve, they must take it to these wise leaders, and “do not turn from whatever they tell you, not to the right and not to the left” (read that one in Deuteronomy 17:8–12). Otherwise, what on earth are we supposed to do when Faraday discovers how to harness electrical power? Is it fire? If not, what is it? So, a rabbinical assembly came to the consensus that we will treat it as fire, and not turn it on or off on the Shabbat. Now all the Jewish people can keep one rule and one Torah. These same sages were empowered to protect the Jewish people from breaking the Torah by “building fences” about the prohibitions. If you can walk right up to the edge of a serious transgression, it’s unlikely that no one is going to fall off. Which should provide an answer to your question about the boundaries for walking on Shabbat. All this is seen by Christians as “adding to the Bible.” I’ve heard Matthew 23:4 and the surrounding text applied to Rabbinic Judaism as a whole, casting all Jewish practices into the same bucket and observant Jewish people under a bus. On the other hand, try telling people in a church to do away with their Christmas and Easter (or Resurrection Day) observances because they’re “man-made traditions” (not to mention the previously cited “Reformation Day”) and you’ll likely start a riot (OK, probably an angry and offended discussion, not a riot). Christians don’t like the Rabbinic sages for the same reason they don’t like the Pope. They don’t like or trust a central authority that can establish binding religious rulings over their lives. It interferes with the “freedom of the gospel” they enjoy, but do Christians really have that much freedom? It depends on the church and which Pastors and teachers are favored, with their books enshrined in the church’s library or bookstore. Which books are studied by the Wednesday night woman’s group or deemed worthy of possessing lessons to be followed by the men’s ministry? Are preachers like John MacArthur, R.C. Sproul, and Steven J. Cole considered the “sages” of modern Evangelical Christianity? Do the churches that follow their particular teachings not rely on these men and their theologies and doctrines to interpret the Bible for them? But allow me to summarize the most crucial point: You can choose to believe in a book. Or you can choose to believe in a divine revelation. The divine revelation was encoded into a book by Moses, but its light never ceased to shine. In every generation, more and more of it enters into the world, through the medium of those sages who study the book and its surrounding traditions and all the accumulated wisdom that has unfolded over the millennia. One day, we will see how all that we unfold was contained in those original words Moses wrote. But to access it all now, make yourself part of the Jewish people, and have a little faith in us. After all, if it weren’t for us, where would that little book be? To be fair, the whole concept of a set of traditions being required for understanding what God’s Divine Revelation means, especially as adapted across multiple generations, is alien to Christian thought, even if it’s not foreign to Christian interpretative practice. We just don’t talk about it, like some dirty family secret, some hidden skeletons in the Church’s closet. Also to be fair, Rabbi Freeman wouldn’t have written such an article if some Jewish people, perhaps a lot of Jewish people, weren’t as critical of midrash and oral tradition as we Christians are. R. Freeman offered some additional resources for the Jewish (and Christian?) curious including The Essential Talmud by Rabbi Adin Steinsaltz, R. Freeman’s own article Is It Really the Torah, Or Is It Just the Rabbis, and a series of audio teachings by Rabbi Lazer Gurkow called The Oral Tradition. You also might consider Is Torah Just For Jews? I encourage you to read the responding comments to Rabbi Freeman’s article (scroll down) so you can see that among individual Jewish people, what the Rabbi professes is not a “slam dunk” in their minds and hearts. Hopefully, that will help dispel the idea held among some Christians that Jewish people are “all the same,” meant in the worst possible manner. When the Church and its “sages” disregard and denigrate Jewish traditions while upholding Christianity’s own long history of interpretive tradition (all the while denying its existence), then it participates in another historical tradition of the Church that, while also “hidden,” is nevertheless still a potent force in the lives of many Gentile believers: anti-Semitism and supersessionism. For more on the same topic, see Tradition!, According to the Traditions: A Primer for Christians, and Introduction to Messianic Judaism: Tradition!, my review of Rabbi Dr. Carl Kinbar’s article “Messianic Jews and Jewish Traditions”. Good stuff James. You sum up the issues so well. Everyone is probably about ten times as biased as they think they are. Not to mention completely reliant on the ways their church/synagogue and family did religion. Yet we all flatter ourselves that we can correctly interpret the bible correctly. The one really big sticking point with me is that, at least from an Orthodox Jewish perspective, it’s readily admitted that understanding the Bible is directly filtered through Jewish experience and the authoritative interpretations of the Sages. Protestant Christianity has a much less formal but no less effective system of interpretative and authoritative Biblical interpretation, they just don’t talk about it and worse pretend that sola scriptura (scripture only) is their sole source of how to understand the Bible. My point is that no one has raw, unfiltered access to the Bible. We all choose a particular framework in which to operate and which reveals to us who we are, who God is, and what the Bible is saying. I think, as I read Lancaster say in one of his Hebrews teachings, that the goal is to try to understand the apostolic scriptures in the same manner (or as close as we can get to it) as the original audience did, the apostles themselves and the early Jewish and Gentile disciples. That’s harder than it seems, given the lack of information we have about the near east in the first century CE. Those of us who have chosen a Messianic Jewish (keeping in mind that Messianic Judaism doesn’t represent a single, unified perspective) viewpoint on all things faith and religion driven, believe our selection to be the best choice to apprehend the comprehension of the New Testament’s original audience. Freeman’s argument, which is mostly standard Orthodox fare, has quite a few holes. I suspect that most Christians would reject the first and accept the second, since Christians, include those who adhere to Sola Scriptura, do not really believe in a book but in the revelation contained therein and the illumination that they claim God gives when they read the book. “The oral tradition also includes later decisions and exegesis made by those who led the Jewish people and were empowered to make decisions on their behalf . . It is to these sages that Moses refers when he charges the Jewish people that if anything is too difficult for them to solve, they must take it to these wise leaders and “do not turn from whatever they tell you, not to the right or to the left” (Deut.17:8-12). One of the most important principles of traditional Jewish interpretation is that “a Scripture never loses its plain sense meaning.” But is that the plain sense meaning of Deut. 17:8-12? We open our English translation [which is faithful in this passage] and find that we do not bring “anything too difficult to solve” but legal cases that are too difficult to decide. In other words, the Torah legal system works like all others: when you bring a case to the priest or judge [i.e, not the sages] as the highest legal authority, you are bound by its decision. There is nothing unusual in Deut. 17:8-12 that would not apply to most any legal system today. Hi Carl. Good to hear from you again. I wasn’t necessarily advocating for R. Freeman’s position. I was using it to point out that the various “Christianities,” even those that espouse Sola Scriptura, are not immune from also interpreting scripture based more on long-standing tradition than what the Bible says. As I mentioned to Sean above, the reason why some of us are involved in some form of Messianic Judaism is that we are seeking a “tradition” that will assist us in arriving at a more faithful view of the Bible, one more consistent with how the apostles and the first disciples would have understood the scriptures. Admittedly, that’s far easier said than done, but particularly after my “tour” of some of the sermons of John MacArthur, I can’t in all good conscience, support many of the conclusions of Evangelical Christianity, especially those that apply to the ancient and modern Jewish people. I didn’t think that you were “on the verge,” my friend. When it is appropriate, I will add a comment explaining why the words of the sages are so important for Messianic Judaism (just not from an Orthodox perspective). What do you guys think. When Jesus acknowledged the Pharisee’s authority to bind and loose in Matt. 23. Was that authority based on Deut. 17:8-12 or was it from when Yitro told Moshe to appoint judges to make decisions on his behalf? Or was it a combination of the two or a different passage altogether? I’ve been facing this issue head on lately in my own personal life, which I will keep discreet for sake of privacy to all parties involved and not to speak of others, however I identify with so much of what you have been saying lately. It’s truly just sad to witness such unwarranted (in my opinion) disdain.. The only thing I have ever sought in my own journey with Mashiach, is to know the truth, and to go wherever that said truth takes me. And, while I am convicted that truth is found within the person of Yeshua, how we understand the peripherals of our faith (for lack of a better word) surrounding our Mashiach is never, in my opinion, black and white. Those who claim that it is, are either ignorant of the complexities of interpreting scripture, or simply choose to ignore the fact, remaining stuck in their way for sake of avoiding cognitive dissonance and the uncomfortable effects inherent thereof. I could go on, but I’ll bite my tongue; refrain and patience I must practice. I find my rest in knowing that when it comes between the Most High and my broken self, He will never hold me in disdain for honestly, and humbly, seeking the truth in Him, whatever that truth may be. And let us not be ashamed. @Troy: My understanding of the binding and loosing is the Master granting the apostolic community the authority to issue authoritative legal rulings in his name, the most famous of which is the Acts 15 decision. @Nate: The search for truth can be a long and winding road, not because truth is necessarily elusive, but before we have such a difficult time seeing it with human eyes and with a human heart. Shalom to you and yours. @ Troy. A case can be made that in Mt. 23, Yeshua is relying on Deut. 17 and therefore he limits the scribes’ and Pharisees’ authority to judicial matters. @ckinbar — At the risk of crossing swords again, Carl, by Rav Yeshua’s time the “shoftim and shotrim” passage was not considered limited to “judicial” matters, but rather its pheirush had been expanded in the intervening generations (particularly by the Pharisees) to authority for all of Torah’s interpretation and application, including the interpretation of Levitical operations and effects as well as issues of individual behavior (because all Torah disputes are ultimately decided by judges and were so as early as shortly after entering the land). Hence all matters are ultimately “judicial”; and Rav Yeshua’s conditional ratification of Pharisaic authority, even over small points of Oral Torah like herb tithing, must be recognized as equally broad. Considering Troy’s question, one might suggest that Yitro’s recommendation was applied to the immediate situation in the desert, while the Deut.16 & 17 passage was extending the concept into the future for the administration of society in the land Israel was soon to enter. Nothing in the Deut.16:18 text indicates how many of these judges and officials need be appointed, and Yitro’s system of demographically-proportional representatives would provide guidance toward that determination. So I see these working in tandem, though I agree that the raw justification for the authority cited in Mt.23 can be based on the Deuteronomy passage. @Proclaim Liberty. I’m not sure that we have documentary evidence for the shift in the interpretation of Deut. 17 or, even if we did, that Yeshua was not referencing the original meaning of Deut. 17. One thing that sticks in my craw is that, if Yeshua was affirming the teaching authority of the scribes and Pharisees in a more global way, he would be giving his approval to their rejection of himself. @ckinbar — As you well know, Carl, Torah interpretation is not monolithic; and I would suggest that even halakhic application with respect to Rav Yeshua is based on minhag developed from a correct rejection of the false image of Rav Yeshua presented by what I like to call Roman Imperial Christians. Nonetheless, I did point out that the authorization in Mt.23:3 is conditional, requiring the exercise of analytical evaluation. Similarly, when the Acts 15:21 recommendation was presented, it did not come with a caveat about any problems that might be associated with n on-Jewish disciples learning Torah in synagogues as interpreted by Pharisees. Rav Yeshua was aware even when he offered his authorization that there existed Pharisaic opinion against him; and certainly the behavior of the early Rav Shaul is indicative of rejection. Nonetheless, Acts 21 shows us tens of thousands of Jerusalemite disciples zealous for Torah, who no doubt considered themselves Pharisees no less than did Rav Shaul, even when imprisoned and in chains in Acts 26 (not to neglect his explicit declaration in Acts 23). However, you do correctly point out that one of the problems with granting that someone has authority is that they may exercise its accompanying power wrongly, mistakenly, even maliciously. We learned a lesson in the Holocaust about the notion of obeying authorities whose decisions and behavior exceeded all proper boundaries of morality and even of humanity, to wit, it is sometimes absolutely necessary to disobey some declarations or positions of even properly designated authorities, when they are in error as can be determined from the highest authority. As for Torah interpretations regarding Rav Yeshua and the nature of the Messiah, it seems to me that research study is proceeding even now among some few of Rav Yeshua’s modern disciples to examine exactly what has been written and about whom, in order to demonstrate whether proper rabbinic Torah authority is actually not contrary to a proper understanding of Rav Yeshua and his teachings, and therefore does not actually reject him as so many mistakenly presume they should. I wrote, “if Yeshua was affirming the teaching authority of the scribes and Pharisees in a more global way, he would be giving his approval to their rejection of himself.” I was thinking of the scribes and Pharisees in the times of Yeshua and the apostles, not the rabbis centuries later. Concerning later times, the dual tragedy is that the Church became supersessionist and Judaism developed entirely apart from any conscious involvement with our Messiah. IMO, it is not possible to calculate the damage to both. I have been pouring over the writings of our sages for decades with no other agenda than to hear the voices of our sages and learn how to be a better Jew. Still, I cannot escape the reality that, though Messiah has never abandoned us, our sages did not cleave to him, and the resulting loss marks our tradition deeply. Thanks. I was just curious about what others thought. With the church, I don’t think the problem is that they interpret the bible through their traditions; the problem is that they use select parts of the bible to justify their traditions. They long ago pushed the bible aside as the standard of truth and no longer teach scripture. They don’t really teach the Bible, they teach their church doctrines (traditions) as passed from one generation of teachers to the next. Also the majority of Christians don’t really engage with scripture for themselves with the Holy Spirit’s help, but prefer to turn to Commentaries, study Bibles, and other “Christian” books. As an example, when I first became a believer in the 1970s, my (then) views on end times were formed through Hal Lindsay’s Late Great Planet Earth. A book recommended to me by other Christians who’d had their views shaped by the same book. And yet years later, when I turned to scripture alone – my WHOLE understanding of the matter was changed. Only a few days ago I had the opportunity to look at a MacArthur study bible and found there was roughly 2/3 of a page of MacArthur’s notes to 1/3 page of scriptural text. Two or three days after that I read a blogger writing about his encounter with a church that claimed to experience the Spiritual gifts described in 1 Cor 12-14. He was unsure whether what he was observing was biblical or not – so he went home and took out his MacArthur Study Bible and after much study decided that church was in error. Now did he come to that conclusion from the 1/3 bible text or the 2/3 MacArthur notes – considering in the notes MacArthur make it clear that (despite what Paul wrote) the gifts were no longer available and we shouldn’t desire them. What needs to be considered is whether it is possible to gain understanding from scripture that isn’t tainted to a serious degree by human tradition (whether Jewish or Christian). But in considering that question we should first ask ourselves whether we believe that God wants us to understand His truth (the only truth) and whether He is capable of imparting that understanding to those who desire it? To what extent do we limit God? And to what extent does that limitation make us more dependent on men’s traditional teachings and ideas than on God and His Spirit? I realize that Roman Catholicism is in a class by itself with regard to this discussion, nevertheless it is a good example of how far tradition can expand having started with the Scriptures. And certainly, the Reformation did not do away with all previous tradition. As a very pious young Catholic, I was enthralled by the majesty and mystery of Catholic ritual. As a young altar boy in grammar school, the Mass was still said in Latin, changing in 1965 or so with Vatican II. Like most, I was sad to see the old ways, particularly the Latin, go. If this is what you are saying. They are one in the same. For example. If someone were to break a commandment, that person would receive a punishment by the court in certain instances. So therefore a court needs to be able to decide for instance, halachically what should be considered breaking the Sabbath, because they would be in charge of giving the death penalty for such an offense. Let me know if I am hearing you wrong. @Troy — Yes, in the ancient Israeli commonwealth civil law was a subset of the integrated Torah. As for the death penalty for violating Shabbat or any other Torah precept demanding such a penalty, all sorts of conditions were attached to it to inhibit actually invoking such a penalty, and societal customs were structured to protect individuals from behaving in a manner to become liable to it. The practical application of law is never as simple as the definition of law; and the definition of law is never simple, no matter how basic some of the guidelines and instructions in Torah appear. I’m sure that’s how most Evangelicals see religious Jews, Tim. We all point to the other guy (or other religion) and say how wrong *they* are but then fail to look at ourselves in the mirror using the same standards. As someone who has been part of the evangelical church I feel I have more of a right to comment on what I’ve observed and experienced during that time – and to share what made the change in my life. As for religious Jews, having no personal experience, I can only refer to Jesus and his interaction with the religious parties of His time. I’d suggest that both the evangelical and non-evangelical church as well as religious Jews all have their problems with traditions that have kept them away from God’s revealed truth. And those traditions are perpetuated by turning to other men for answers instead of trusting the Holy Spirit to fulfil His ministry in our lives. I first heard the term “triumphalism” used by a researcher at the Simon Wiesenthal Center in Los Angeles. I’d made an appointment to meet with him as a social studies teacher researching material about the Holocaust for a WWII unit of study. He used it in the context of “Christian antisemitism” … two words I found oxymoronic up to that point in my life. He said that in order to understand the Holocaust I had to understand the two thousand years of Christian antisemitism that preceded it, and he used the word “triumphalism” in his description of this phenomenon. Triumphalism in Christianity, is, as I see it, at least in part, is an irrational sense of pride in its “triumph” over Torah Judaism, a tragic sense of victory at the triumph of Christian tradition over Jewish tradition which began soon after Yeshua and his disciples had left the earthly scene. Although the degradation and delegitimization of Jewish tradition began with letters by the likes of Ignatius in the late first and early 2nd century, isn’t the first Council of Nicea a good place to probe for the “official” root of this replacement of Jewish tradition with Christian tradition? When Passover was “forbidden” and “Easter” established? 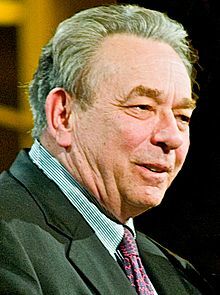 It think that most Christians are ignorant of the supersessionist impulse that defines Christianity from its utmost beginnings, hence they see Christian tradition as being “biblical.” Many are totally unaware of this dynamic and many see it as the hand of God in the “triumph” of Christianity over Judaism. So the “love” of Christian tradition is born of ignorance, and/or, its divine mandate by way of these early Church Councils. It’s hard to convince a Christian, Catholic or Protestant or Evangelical, that Christian tradition is not a heavenly mandate, hence, “biblical” in some distorted form of meaning. I’ve experienced “Reformation Day,” too, James, and wondered about it the same way I wondered about the “Christian flag” standing to the left of the American flag in the first Baptist church I attended. The fact that there a “Christian flag” even exists says something about its deep sense of pride in Christian tradition, does it not? @ Carl Kinbar and ProclaimLiberty…. Yeshua said unquote he was taking away the authorities from the Pharisee’s and giving it to the Apostle’s. Is this correct? Yeshua said the Apostles have the authority to bind and loose. I believe we have to look at this in it’s 1st century context FIRST then the application presently. Did the Pharisee’s still have the authority for judicial matters and the Apostle’s the authority on halachtic matters for the Messianic Comminity such as minhag Acts 15 as an example? @alfredo — I did answer Carl’s post somewhat, in my post of 13Feb@7:49pm, citing the problem of authorities who are still capable of error as well as the rejection faced by early disciples and then also by Rav Shaul. @Carl — I agree wholeheartedly with your sorrow over the distortions that have influenced Jewish tradition, though I find a curious phenomenon when looking closely at one specific aspect of it. When the rabbis are focused on discussion of Torah and the interpretations of a given passage, when they are not being sidetracked by trying to refute some inimical Christian doctrine, they seem to discover the most interesting insights that sometimes also could be viewed as supporting Rav Yeshua’s role and some of his teachings. Hannah Weiss and her Restorers of Zion have tried to compile such tidbits, though at times they seem to push too hard on some of them that don’t necessarily mean quite what they are presented to imply. Nonetheless, the insights are there for those with eyes to see them. Such things are quite likely what influenced one Rabbi Kadouri a few years back, a recognized master of Kabbala, to leave a cryptic message to be opened only after his death, indicating that he had identified Yeshua as the name of the Jewish Messiah. Rabbi Kinzer also raised what may have been an unintentional hint in his book PMMJ, about subtle influences by which all Jewish prayer actually invokes “Yeshuat HaShem” and thereby sodistically approaches the Father via His son Rav Yeshua. But we need not explore the implications of such a notion here. I mention it only in the context of considering that we can still see reflections of the ancient Torah authority cited by Rav Yeshua echoing through later Jewish literature. @Macher — You may have noted in my reply to Carl that teaching Torah as such, for its own sake, is not a sphere in which the Pharisees or their later disciples the rabbis were busy rejecting Rav Yeshua as such. Generally they were working out other issues. Hence there was and is still justification to recognize by careful analysis where their authority is still valid. Now I need to interject here an unmitigated “Oy Gevalt!” Macher — How did such a broad-brush supersecessionistic interpretation ever enter your thoughts, that you should read any passage as if Rav Yeshua pitted the entire body of the Pharisees against “the Apostles” (who were, after all, a pretty small group — especially before his death)?! In Mt.21:43, it is said that the kingdom of heaven (“malchut ha-shamayim”) would be taken away from a particular group of chief priests and Pharisees with whom Rav Yeshua was arguing at that moment and given to folks who would bear commensurate fruit. It is not addressing or diminishing any aspect of their authority on earth; it is rather addressing their attitudes of approach to HaShem and their corresponding inability to recognize His perspective when applying it. That is not connected with either case, in Mt.16:19 or Mt.18:18, when Rav Yeshua stated the authority to bind and loose (for Shim’on Kefa or for the remaining disciples), which was a recognized expression referring to the determination of halakhah and the decision of a particularly problematic case. He certainly was not suggesting that they were to become the only Jews with such authority, as if they were replacing existing authorities. Now this consideration raises an interesting halakhic question. When you have two rabbis and three opinions, how is a matter to be resolved? One traditional answer is to seek a precedent in Talmud or later responsa and commentaries. Another is to discuss the matter with other rabbis in an halakhic conference. Sometimes the answer is relegated to a matter of local custom that is not binding on all Jews; at other times precedents and all manner of deliberations over interpretations are debated until everyone is exhausted and some recognized, most-highly-qualified authorities attempt to compile and distill the entire discussion into a fundamental principle that may be applied generally. Even decisions of this sort may be appealed given an ability to demonstrate that a new case includes conditions different from those that were deliberated when a presumably-applicable precedent was codified. Prior precedents are generally not overturned or set aside, but merely constrained in their applicability, perhaps to only the conditions of an earlier time and a particular locale. It is these considerations that may allow modern Jewish messianists to reclaim a proper place within the Jewish community, and even to begin to excel at demonstrating proficiency with Torah interpretation and halakhic application by exercising Rav Yeshua’s authoritative and compassionate perspective. Thus ultimately we may become recognized as proper descendants of the Pharisees whom Rav Yeshua authorized, not unlike the kind of Pharisee that Rav Shaul became. Then our authority to bind and loose will mean something vis-à-vis other rabbis within the general Jewish community. However, — and this is an incredibly HUGE “however” — modern MJs have a lot of learning to do before they may be considered qualified in this manner. Given that, my respect for Carl’s pursuit of such knowledge knows no bounds. May his tribe increase (as the saying goes). Right let’s concentrate on the Pharisee and scribes in the time of Yeshua. I’m still up in the air what the correlation are with the Pharisee’s and rabbi’s centuries later. Since I did understand what Carl Kinbar was writing about when he first wrote his comment, I would like to read a response to that. Carl that’s an interesting comment. I was raised in a conservative Jewish home and we weren’t orthodox. I have nothing against orthodox, we just aren’t orthodox. Are you suggesting that Judaism should be interpreted per se in light of Yeshua and the Apostle’s? I asked a question and hope I didn’t come across as it was my interpretation. Are you suggesting a Hillel verus Shammai? That Yeshua authorized Hillel Pharisee’s? Also PL the authority to bind and loose are you saying that pertains to the Messianic community, sort of minhag? Actually, Macher, Rav Yeshua often seemed to favor the strict interpretations of Beit Shammai, which was somewhat more common in the Galil than in Judea which tended more to favor Hillel. However, other comments of Rav Yeshua’s, such as the complaint about laying on heavy burdens and not lifting a finger to lighten them, are more in line with Beit Hillel. So, no, I’m not suggesting that he favored one over the other in general, but that he was rather more eclectic and independent in his approach to Torah interpretation. We see examples of the principles he applied in the attitudes described in Mt.5:3-11. The authorization to bind and loose presupposes both an authority structure and a halakhic structure. The MJ movement comprises several organizations that have appointed rabbis and established yeshivot that each represent an implicit halakhic approach; but as far as I know only the MJRC has actually published a document summarizing the halakhah by which their rabbis offer decisions or evaluations. MJ as a whole has not really committed itself to an halakhic viewpoint; only some segments of it have done so and only in these is the notion of binding and loosing meaningful. Even so, standards of knowledge must be monitored in order to justify the authority, the “smichah” to perform the operations of binding and loosing as representing decisions relative to the defined halakhah or to some accepted set of minhagim. Relating those standards to comparable standards in the wider Jewish world is another matter, because MJ halakhah, even in the limited form that has been developed by one MJ organization, differs in some degree from orthodox halakhah and even from Conservative halakhah. Therefore the scope of any MJ binding and loosing is rather constrained; but we may hope for continued improvement in the level and quality of knowledge represented in messianic rabbis and other authorized community officials, until MJ authority becomes a standard to be reckoned with more generally. Hi PL. Your reply “citing the problem of authorities who are still capable of error” states exactly what I expected to read from you. Having been raised in Catholicism and then going through Pentecostalism for some three years and now learning about Judaism, I surely know the errors we all commit, and none of us, even the most enlightened Bible scholars from any “ism”, is error free. Meanwhile, we will still have to keep on learning the most we can, and acting accordingly, the best we can, with the help of HaShem. Well-written article, James! Shared it on FB with a group of my old high school friends who were disappointed when the school trustees tried to put a sola Scriptura clause into the bylaws. @alfredo — Have I become so predictable? I can imagine that your former experience with Catholicism might have sensitized you against placing any trust in fallible authorities. We could ask, though, are there any other kind (at least, among humans)? Thankfully, Rav Yeshua’s comments in Matt.23 give us both sides of the authority picture: one being that they are to be obeyed; the other, that such obedience must be conditioned by an evaluation of their consistency and conformity with the good values that their authority was granted to promote — because ultimately it is HaShem that we are obligated to obey. @ ProclaimLiberty after looking at some of UMJC stuff I find them contradicting themselves on some issues. What makes the UMJC and MJAA different is that the UMJC has published their positions. @ Macher. What UMJC stuff are you referring to? @PL. Predictable? I would say that common sense has to prevail. We know humans fail, because of many factors. Now, can you imagine a human group? If a single person can fail, how much more so a group of people? As you already know, in any process, there are many points of failure. You need redundancy to reduce or eliminate a single point of failure. Probably, Judaism has the best system to reduce such issues, but nevertheless, it is still based on human thinking, behavior and limits overall. Only the Master can solve such problem. We will have to wait for His return. @ Carl I probably shouldn’t have made that statement, I should have said some of the UMJC doesn’t make sense to me. A question then… Is the UMJC connected or associated with the MJRC or associated with them in any way? If not then I take back what I said. @ Macher. The UMJC is an umbrella organization of congregations with various emphases. The MJRC is an association of rabbis with a focused emphases. @David, thanks for the complement and the share on Facebook. @ Macher. I forgot to mention that current MJRC members are all UMJC rabbis and formed the MJRC for mutual support in their (our) emphasis and to establish a healthy process for conversion, which they UMJC does not currently support. @ Carl you said UMJC doesn’t support conversion however according to their website under minority view they do. @ Macher. That’s true, but the majority opinion understandably prevails in the UMJC. @ Carl perhaps that’s what I find contradicting. Conversion does prevail. An organization either supports it or it doesn’t. If an organization doesn’t support it then the rabbi’s in their congregations wouldn’t consider it. @ Macher. I understand why you find it confusing. You need to understand the nature of the UMJC. It is not a halakhic body and does not require its congregations (or rabbis) to conform to majority opinions unless they are put into the constitution and by laws as requirements for membership. Organizations may make rules for members, but they do not possess the authority in the realm of halakhah. The UMJC has wisely never asserted that they have such authority and its member congregations do not look to the UMJC for halakhic guidance. @ Carl that’s not the way I read it. Under the minority position on the UMJC website it clearly states that conversion is a minority position, so it’s a position within the UMJC. Since the minority position comes from the UMJC as the umbrella organization then whatever position is it’s reflected on the congregations under the UMJC umbrella who hold to the specific view. Would be better to say then the UMJC doesn’t have the authority in the halachtic realm of conversion however some rabbi’s and/or congregations in the UMJC practice conversion and the halachtic authority is under the MJRC which UMJC isn’t affiliated with.